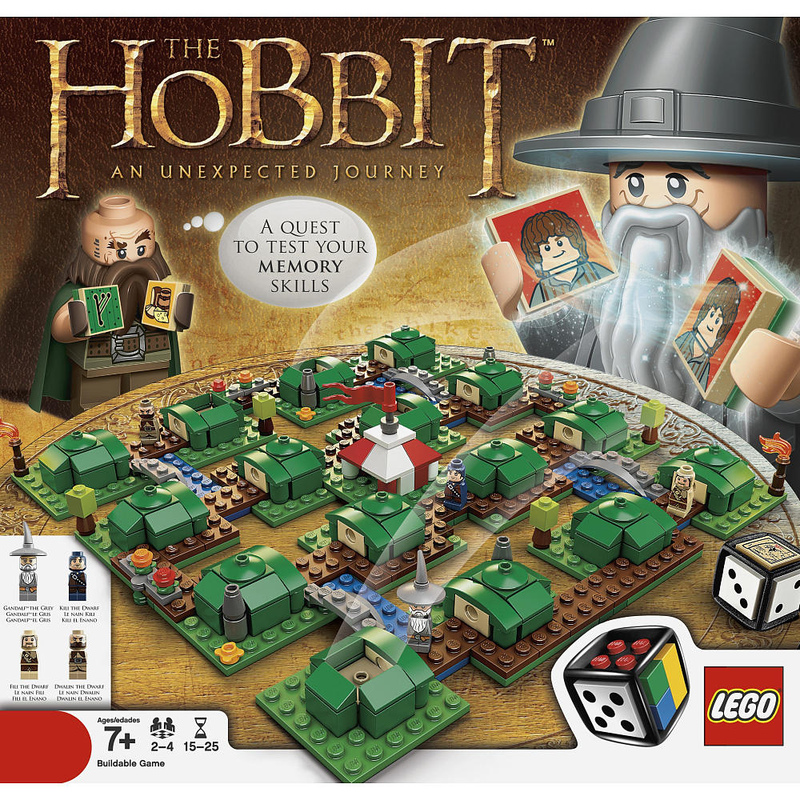 Fruitless Pursuits: Coming in September: The Hobbit Lego Board Game! The world of The Hobbit comes alive in a whole new way with this fun LEGO Board Game! Build the board yourself, then put your brain to the test to help find the missing dwarves in Hobbiton. In this cool twist on the classic memory game, you’ll use clues from beloved characters like Gandalf the Grey and the hobbits of the Shire to figure out the dwarves’ location. The Lego board games have a been a little hit or miss for me, but I still buy as many as possible. There are the awesome dice, and of course, the limbless microfigures that many of us have grown to love over the past few years. But the games themselves don't really get to the table too often. I'm guessing the games will get more play as my kids get older, but with the nature of Lego, you need to build the game before you play it. This is good to make the experience last a little longer, but bad when you just want to jump into a game. Especially the first time you play it. With my non-existing level of patience, I would equate it with a really long cut scene at the beginning of a brand new video game, or downloading the update required to play an older one. The standout of the Lego games series has been Heroica. A role-playing game with Lego! It's been fairly supported since it's release. There were 4 games and a collectors box in 2011, and a hint for just as much in 2012. But we're halfway through 2012 and there has only been 1 release, so it's safe to assume it's not doing as well as Lego had hoped. The concept is amazing, but the gameplay is just too simple. As with all Lego games, you can customize them like crazy, but only so many people will do that. If Heroica was a better game straight out of the box, I think it would receive support from the huge RPG crowd. Lego has a very Nintendo approach to things, sometimes alienating the core fanbase to try to go for the masses, and in some cases it doesn't work. Even with it's flaws, I will continue to buy and support all of the Heroica games with the intent of customizing it myself. And in doing that, I'm buying every game that is similar to Heroica in design. The Hobbit set would fit in so AWESOMELY, changing the campaign from a simple medieval setting to Middle Earth! I don't think Lego is cross branding the two properties, but in order to push Heroica through to survival, I think they need to do it. Unfortunately, I don't think that's a priority now.